Design and Build the City of Your Dreams. Fight crime, unemployment and pollution. Control budgets, transit and population. Create industry, shopping centers, parks, stadiums, seaports and airports. 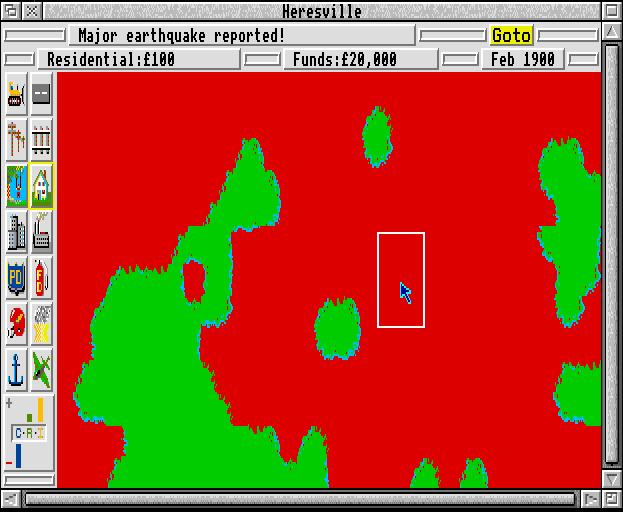 Confront disasters - floods, earthquakes, fires, tornados, meltdowns and monsters. Real-time graphics and demographics mapping keep you constantly informed. 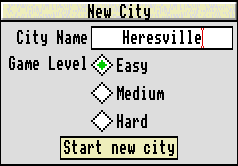 SimCity includes maps of famous cities on disk, open to your design. It's up to you to save the population, or engineer its destruction. 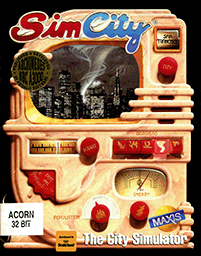 SimCity is a model that works, but no toy train set ever looked this good! Lay roads and traffic moves. Supply electricity and smokestacks churn.